The Guardian’s Sid Lowe describes Lionel Messi’s latest stunning exploits for Barcelona. Kasey Symons explains why the furore over Tayla Harris photo shows how vicious social media can be. Barney Ronay gives his thoughts on the dual nationality debate. Kenny Herzog of The Ringer looks at the first-ever women’s match to main-event wrestling’s biggest night, which includes Ireland’s Becky Lynch. The Independent’s Jonathan Liew interviews cricket legend Shane Warne. Email “'The furore over Tayla Harris photo' and more of the week's best sportswriting”. 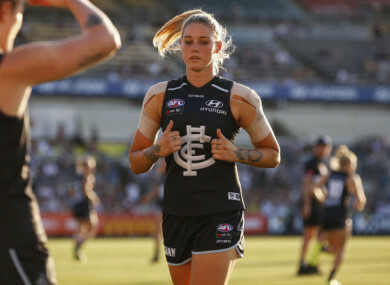 Feedback on “'The furore over Tayla Harris photo' and more of the week's best sportswriting”.